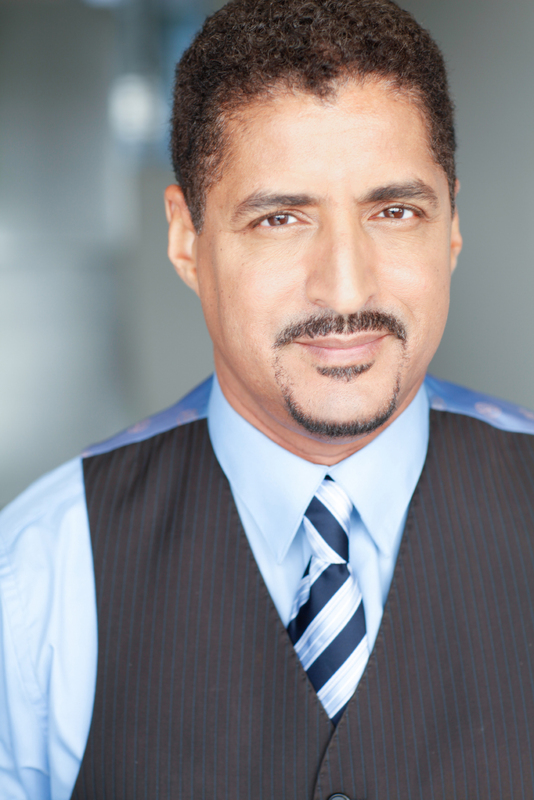 As an actor on television, he has been seen on hit shows such as NCIS Los Angeles, All My Children, BET's One Special Moment, TNT's Freedom Song, Law and Order, Chicago Hope, and To Have and To Hold, among others. Big screen credits include Stanley Kubrick's celebrated war drama Full Metal Jacket, box office blockbuster The Sum of All Fears, gritty urban drama MacArthur Park, as well as The Last Dragon, Death Wish 3, and Spike Lee’s cult classic School Daze. Kirk had the honor of working alongside Mila Kunis and the late, great Robin Williams in The Angriest Man In Brooklyn, released May 2014. He has been a soloist in the studio, on stage and screen, as well as in choirs and small groups under the direction of such notables as Tom O’Horgan, Mervyn Warren, Rose “Sly & The Family” Stone, Scott V. Smith, and Broadway veteran Chapman Roberts, among others. Kirk first came to the West Coast in the Broadway musical 5 Guys Named Moe in the leading role of Nomax. Other West Coast credits include the role of General Vershinin in Three Sisters at Actor's Alley, Dr. Gibbs in South Coast Rep's production of Our Town, and as the lead male vocalist with the world-renowned Chaka Khan in Signed, Sealed, Delivered! - a musical tribute to Stevie Wonder at the Venetian Hotel in Las Vegas. Other stage appearances include the one-man musical Jelly Roll! The Music & The Man, Off-Broadway productions of The War Party, King Lear, and Macbeth - directed by the legendary Geraldine Fitzgerald, as well as the Broadway run of What Men Don't Tell at The Beacon Theater. He was honored to sing among a who's who of Broadway's finest in Black Stars of the Great White Way: Broadway Reunion, both at The National Black Theater Festival in North Carolina, and at iconic Carnegie Hall. He recently made a special guest appearance at Dizzy’s Club, Jazz at Lincoln Center in NYC, and was also a featured soloist at the Havana Jazz Festival. Kirk has also invested in mentoring the next generation of talent. Starting at the Lee Strasberg Institute in New York City, his former students include Jessie L. Martin, Chandra Wilson, Gary Dourdan, Karina Lombard, Charles Malik Whitfield, Jose Zuniga, Beth Littleford, Ken Marino, Mari Morrow, Mette Holt and Benno Furmann, among others. He continues to travel and teach, conducting acting workshops and intensives in Montreal, Los Angeles, Hawaii, and Norway. Looking forward, Kirk is excited about his leading role in the upcoming musical feature film, Revival! The Experience. Produced by Harry Lennix, it is slated for theatrical release in the coming months.